Today we drive to Mussoorie, a popular hill-station, situated at an altitude of 2005 m. In 1820, Captain Young of the British army was influenced by the beauty of this place & made it his residence. 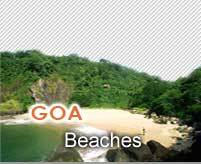 After its discovery, this hill station gradually developed as a center of education, business, tourism & beauty. Morning post breakfast we depart for Barkot with lunch (Packed). En route we visit Kempty Falls. On arrival at Barkot, check-in to Hotel. Morning post breakfast we drive to Uttarkashi. It is situated on the banks of the river Bhagirathi. 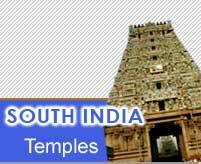 Lord Vishwanath temple is located here, which is marked by a massive iron trident. Other important temples here are Ekadash Rudra, Bhairav, Gyaneshwar & Goddess Kuteli Devi. After early breakfast we leave for excursion to Gangotri with Packed Lunch. On arrival take a holy dip in the sacred river Ganges, also called Bhagirathi at its origin. Perform Pooja (prayers) after that relax for sometime in the lovely surroundings. After early breakfast we drive to Guptkashi with Packed Lunch. En route we pass through towns like Tehri Srinagar & Rudraprayag. From Rudraprayag we turn towards Mandakini valley & see the beautiful confluence of River Mandakini with River Alaknanda & reach Guptkashi in the evening. Today we drive in our Coach to Gaurikund (32 km - 02 hr). 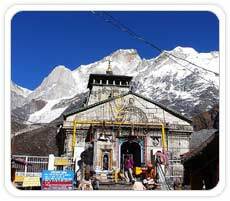 Gaurikund to Kedarnath is 14 km trek, which we shall cover by Pony - Doli. We arrive, Kedarnath by afternoon. On arrival check-in the Hotel - Guest house. After freshening up we have lunch & leave for Pooja & Holy Darshan at Shri Kedarnath temple. In the evening we visit Adi Shankaracharya Samadhi, behind the temple & then be part of the Aarti of Shri Kedarnath at the temple. Today we start our way back to Gaurikund by Pony - Doli (14 km - 3-4 hr). 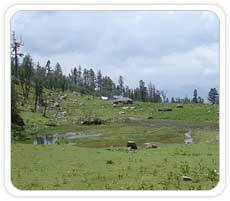 On arrival at Gaurikund we board our Coach & reach Guptkashi by lunch time. Today we drive to Joshimath via Chopta. This is one of the most scenic stretches of the whole trip & we drive through meadows & thick forests, with glimpses of the mighty Himalayan peaks. We arrive at the Joshimath. Today we drive to the Holy Shrine of Shri Badrinath. On arrival we check-in the hotel. In the afternoon we visit Mana village, the last Indian village before the Tibetan border. We return on time to participate in the evening Aarti at Badrinath temple. After early breakfast we drive to Rishikesh. We shall stop at Rudraprayag for Lunch. Late evening we arrive at Rishikesh & check-in the Hotel. Today, we leave for half day sightseeing of Rishikesh. 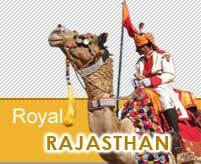 We will visit Laxman Jhula, Ram Jhula, Geeta Bhawan, Temples & Ashrams. It is situated on the banks of the holy River Ganges (Ganga) & is a very important Hindu pilgrimage site. One can see Sadhus, Pilgrims, Ashrams & Temples all around. The ceaseless flow of the river, regarded as Goddess Ganga, adds to the beauty & the purity of the place, giving the entire place a spiritual ambience. Along the river, the area is filled with thick green forests in the all-mountainous region. Rishikesh is famous for its yoga sessions that are taught here by many Yoga experts. Besides the sadhus & saints, a mass of tourists too visit this place every year to have a look at this much popular place. If the wonderful scenery & the numerous pilgrimage sites were not enough, Rishikesh also makes some of the most popular adventure sport destination of India. 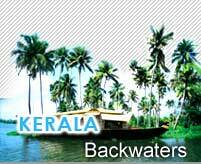 River rafting, trekking, rock climbing, hiking etc. are some of the activities one can easily opt from here. In the afternoon we drive to Haridwar. It is located at the foothills of the lower Himalayan Shivalik Mountains, on the banks of River Ganges (Ganga), & is an important pilgrimage site for the Hindus. When the Ganges leaves the mountains & enters the plains, Haridwar is the first major town on the plains. Though the Ganges does not lose its rapids completely, nevertheless it becomes very quiet & calm here. 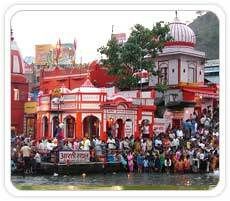 Haridwar has earned fame as being the place, which has been blessed by the Trinity of the Lords Shiva, Vishnu & Brahma. It is also one of the major Shaktipeeths. Down the ages, Haridwar has purified the mind, the body & the soul of people not only in spiritual or religious terms but as a major learning centre for arts, science & culture. Upon arrival check-in the hotel. Later in the afternoon visit Mansa Devi temple & in the evening participate & enjoy the spectacular view of 'Aarti' at Har Ki Pauri. Later in the evening we may spend time on the Ghat. 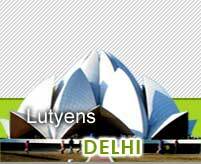 Today we drive to Delhi, arrive Delhi upon arrival in Delhi Transfer to Airport for onward Destination. Our tour concludes Caper thanks you for your patronage & look forward to serve you again in future.